Bonjour! Comme j'ai promis la semaine dernière, pour célébrer le jour Bastille pour nos amis en France, voici un modèle pour un fusée de crochet! Et oui, je sais que mon français est mauvais hahaha. Kay, back to English, my french isn't very great. 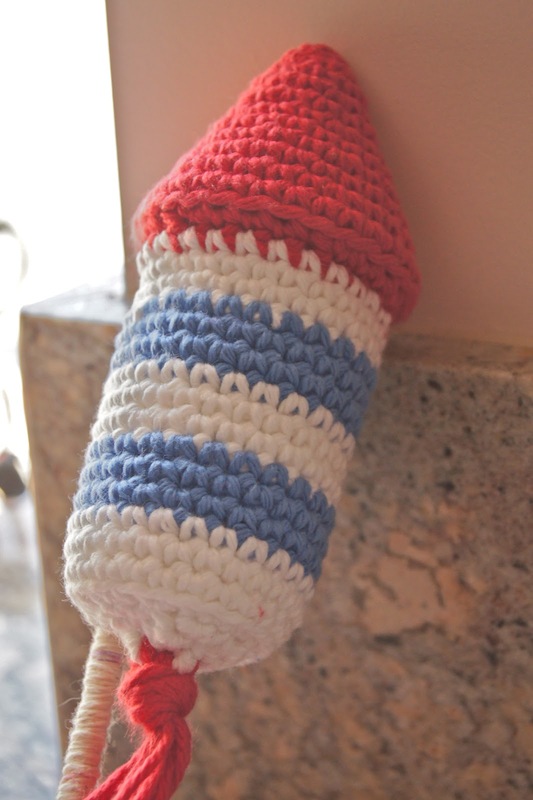 So today I'm going to be posting a new pattern for a Crocheted Rocket / Firework to celebrate both our independence day in America (I know it's a bit late haha) as well as Frances independence day! Wooo!! If you like these two patterns and want to help me out and donate for more free patterns in the future ;) then feel free to buy both of these patterns on my Etsy HERE! They'll be sent to you in a shiny PDF pattern in a matter of just a few hours! AND (yes there is an and) you'll get a coupon for 25% off your next Louie's Loops pattern! 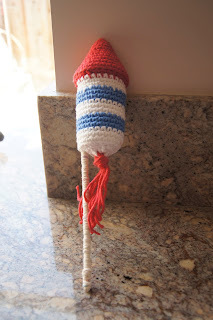 Don't forget, you can definitely donate by buying this and the pattern for the rocket in an awesomely made PDF format --> HERE on my Etsy store <-- AND get a coupon for 25% off your next pattern! 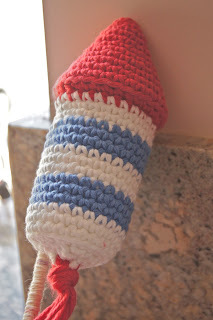 Hi, I just found and started following your awesome blog through the icrochet page. Also liked you on facebook for the competition. Am loving looking through your stuff now, in particular loving the spidey hat and ironman gloves!!! your blog remains awesome however and I'm happy to have found it! !